These organic harem pants have comfortable fold over waistband and cuffs. Made from a gorgeous white cotton knit, these pants sure look great and they are very versatile! The white waistband and ankle cuffs are made from a lycra with a cotton spandex mix so they slip on and off like yoga pants without any uncomfortable elastic. 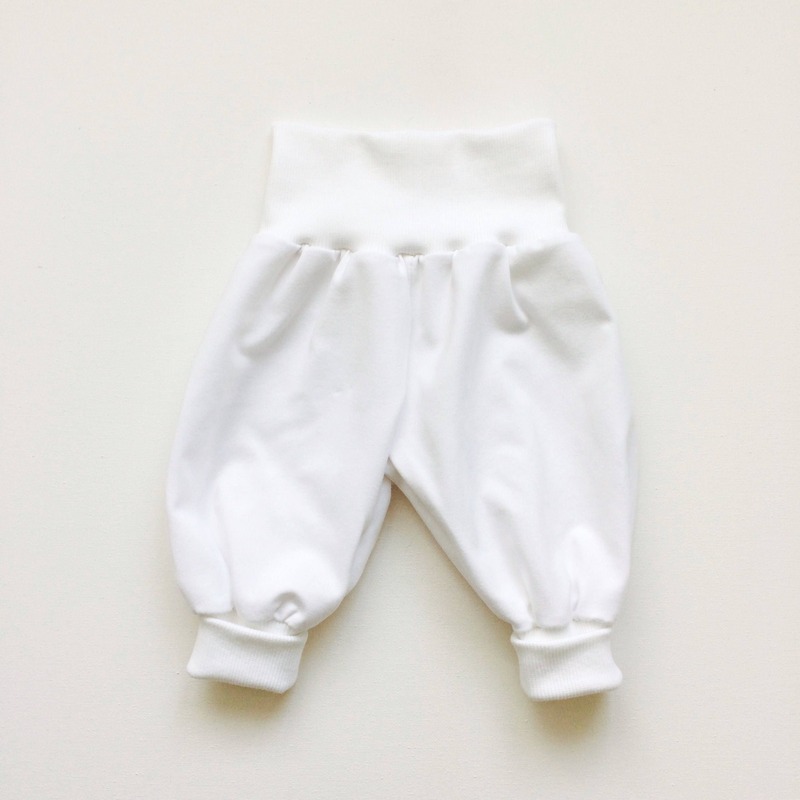 These cute pants can be made to order in sizes ranging from newborn to 2 years.